We cater for a host of event types including weddings and private parties, through to corporate events and children’s parties. We’re certain that you will have a fantastic time pulling poses whilst making the best use of a huge range of creative props that we provide for your entertainment. At KKPhotoBooths, we don’t want you to compromise. For this very reason, we simply bundle all of the premium features available into our standard package. Our Photo Booths and Magic Selfie Mirror are 100% portable and will compliment any function in any venue be it huge or intimate. 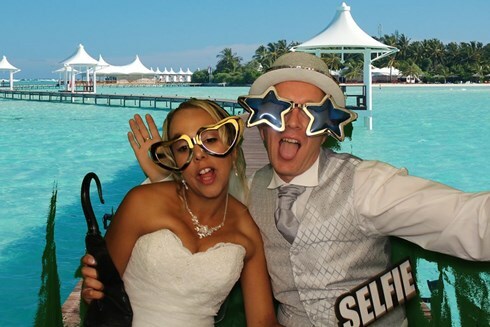 You won’t believe the fun you can squeeze into a strip of photos with a KKPhotoBooths! Whether it be a party to celebrate a birthday, anniversary, engagement, family reunion or any other excuse to a get together we have a personal solution just for you! As with all events, we like to personalise the experience for you, and with this in mind we offer a variety of options to ensure that your (and your guests) Photo Booth or Magic Selfie Mirror experience will be great fun, eventful and truly memorable. Set up and dismantling of the Photo Booth or Magic Selfie Mirror. Unlimited Photo Booth or Magic Selfie Mirror visits and quality, Instant photo print outs throughout your hire period. Several boxes full of Props. A FREE complimentary guest book with a copy of all the prints taken during your event, with a personal message from each of your guests. We are able to personalise your printouts to match your desired theme or tastes and as such, can guarantee that we will capture all of the fun and special moments of the day whilst keeping your guests entertained for hours. Two friendly, extermely professional Photobooth attendants will supervise the use of your Photobooth throughout your wedding ensuring that everyone enjoys the Photobooth experience to its full potential, whilst ensuring that your prints are correctly framed, focussed and capture the FUN element of your wedding. Your hire includes a FREE quality guestbook for your guests to use, so once the hangovers are gone, and the memories begin to fade, your gorgeous guestbook full of photos and messages will still be there long after the celebration. Our Photo Booths and Magic Selfie Mirror are elegant and very stylish and will greatly enhance your special day. A Children’s Party to Organise? Our Magic Selfie Mirror is fantastic for kids parties. Let your child and his/her friends imagination run wild in front of the camera with a fun array of props and unlimited photos! With our props the party goers can turn themselves into superheroes, pop stars, princesses or whatever their imagination desires. Our Magic Selfie Mirror takes full length photographs of our "young posers" and we can squeeze loads of people in, making those hilarious group photographs of Mum, Dad, Aunts, Uncles and children a must - there’s even enough room to squeeze the Grandparents in too. This hire is ideally aimed at children between the ages of 3 and 15. This spontaneous, enjoyable way of taking photos is sure to put a smile on everyone’s face. It will leave you with lasting memories of the party and the photos can be used as the perfect take home gift for the kids. Our Magic Selfie Mirror can be set up anywhere, so what are you waiting for? Treat the kids to an amazing experience they will never forget. A copy of all Images presented to you after the event using a USB stick. Photo Booth & Magic Selfie Mirror hire is still the number one option for Proms and Balls - the prints make a great memento of the event. As the majority of proms and balls are ticketed events the Photo Booths & Magic Selfie Mirrors are generally the lower priced option too. By adding a few pounds to each ticket, the Photo Booth or Magic Selfie Mirror will be paid for negating the need to worry about the expense coming out of the overall budget. For Charity Balls we recommend that you seek out a sponsor or two, and have them sponsor the Photo Booth or Magic Selfie Mirror and in return we will place their logos on the print outs making it visible to the users that the Photo Booth or Magic Selfie Mirror has been paid for by them. This way it doesn’t cost the charity anything. Need a Photo Booth for your Corporate Event – Look No Further! We provide a great Corporate Photo Booth & Magic Selfie Mirror hire service for your staff and clients. At KKPhotoBooths, we understand your staff are your biggest assets, and as such, deserve the very best. A great way of rewarding your employees is to hire a Photo Booth or Magic Selfie Mirror in support of your work event. 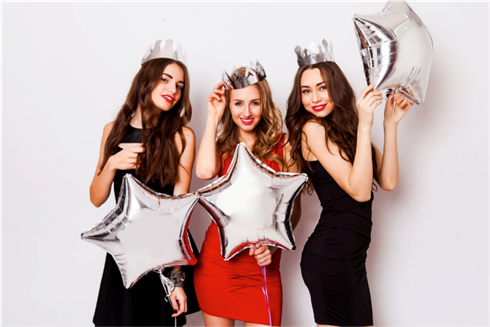 Whether it is the end of year party, an awards ceremony, engagement programs, product launches or a trade fair, having a Photo Booth or Magic Selfie Mirror provides superb entertainment and is guaranteed to be great fun. We provide custom branded Photo Booth skins (Photo Booths only); custom photo backgrounds etc. to compliment your brand and help achieve whatever corporate objectives need to be achieved. Hiring one of our Photo Booths or Magic Selfie Mirrors for your corporate event enables your clients to remember you by interacting with them in a unique, personal and fun way. Our Photo Booths & Magic Selfie Mirrors are fully social media integrated, allowing you to maximise on marketing and brand awareness. The photos can be shared on Facebook, Twitter and Instagram. We can increase your exposure by adding your brand, product or company details to all photos, or we can fully customise the outside of the Photo Booth with your own design (additional cost). We offer a number of unique features that can be used at your event. So whilst your guests are having fun, we’re helping you gain an insight into your customers, gathering important information and maximising your return on your investment. You can collect user’s email addresses, Twitter handle, Facebook details, and other valuable data by making use of our Photo Booth Survey option. Ask users about your event or anything else you require feedback on. User participation in the survey is guaranteed to be 100% as the user will be forced to answer the questions prior to uploading their photos or printing them out. Combined with built in reports for social media usage, this kind of data collection provides an opportunity for you to get an insight into the users and even more value out of the activation. Having a fun way for people to interact with your brand is an opportunity to get valuable feedback, collect targeted email addresses and social media details. Ask up to five questions that are either Yes or No multiple choice. Formatting the right multiple choice questions can lead to customer data that really makes a difference in where your business will be heading in the future. Photo Booth marketing is a fun and interactive way to get the answers you need from your customers. Promote your brand and at the same time run contests in the Photo Booth. We can create a ‘Golden Ticket’ template that randomly prints for users to win a prize or giveaway. Also included with the Corporate offer is our new Survey software with the Corporate package which enables you to convert the Photo Booth into a survey and data gathering booth, ideal for gaining invaluable feedback from your guests/colleagues/clients before they get snap happy with the Photo Booth! Allow KKPhotoBooths to help you showcase and demonstrate your latest products and services, meet with industry partners and customers, study activities of rivals, and examine recent market trends and opportunities.